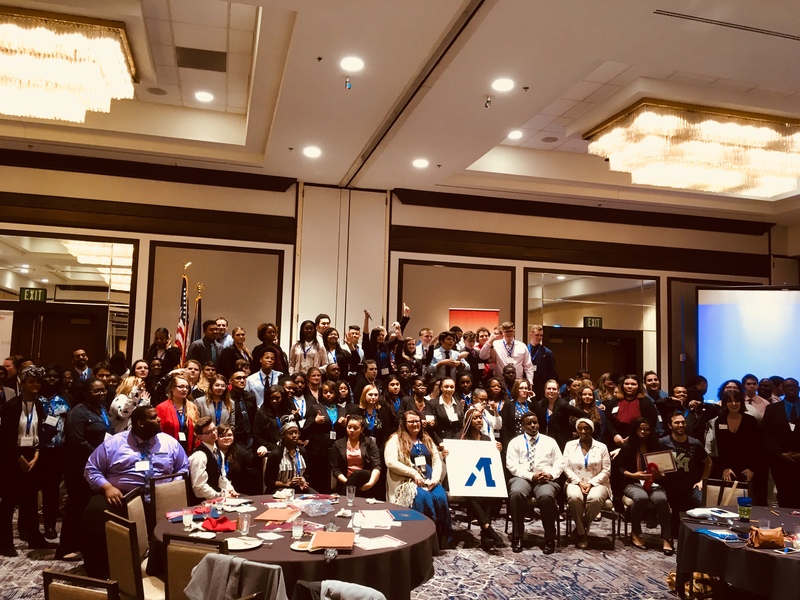 Today 136 Marion County high school juniors and seniors met at the Indianapolis Marriott East for the regional JAG Career Development Conference – including competitions around employability, skill development, and career goals. All students are part of the Jobs for America’s Graduates program, better known as JAG, which has a presence in fourteen high schools throughout the county. Another exciting part of the day was Kenzie Academy’s announcement that they are offering up to $300,000 in scholarships for JAG students across Indiana. Reps from Kenzie were on site sharing details for interested students to learn more about their accelerated, project-based learning in the in-demand technology field. Employers interested in learning more about how they can engage with the future workforce can connect with our Business Solutions team or make a tax-deductible donation like these sponsors did.